Ocean’s 8 comes to theaters on June 8. The latest film from Gary Ross (The Hunger Games) is also a continuation of the Ocean’s film series. The previous three installments centered around Daniel Ocean (played by George Clooney) and his ever-expanding band of thieves. Ocean’s 8 shines the spotlight on Daniel’s sister, Debbie Ocean, played by Sandra Bullock, who assembles her own team of talented women to plot a heist at the Met Gala. 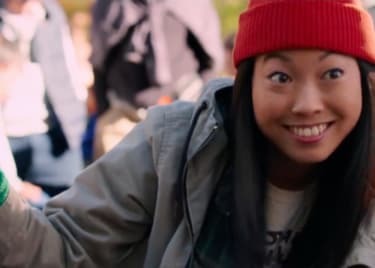 It’s clear that Ocean’s 8 has strong ties to the previous Ocean’s films. 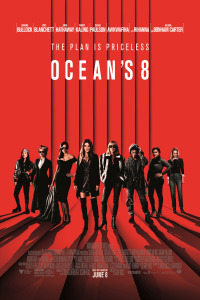 As shown in trailers, for example, the movie pays homage to the opening scene of Ocean’s Eleven. Furthermore, the film is expected to include cameos from pivotal players in the Ocean’s franchise, such as Matt Damon and Carl Reiner. 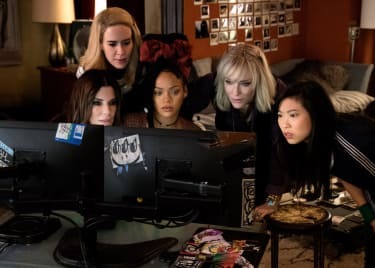 Despite those connections, however, Ocean’s 8 is putting a different spin on a familiar heist saga. Spinning off a successful franchise is challenging; there’s a line between creating an all-new story and copying what worked well before. Ocean’s 8 finds that line and strides confidently down it. Director Gary Ross understood the importance of crafting a film that paid homage to the original Ocean’s trilogy but still carved its own path. That approach is a key factor for the film, because it allows for an innovative take on a popular franchise and presents a story that stands on its own without relying too heavily on the details of the past Ocean’s saga. Debbie Ocean’s partners are a stay-at-home mom, jewelry maker, and fashion designer. They’re everyday people with special skills who’re thrust into an extraordinary situation. That’s a fascinating point of view to have in the franchise. 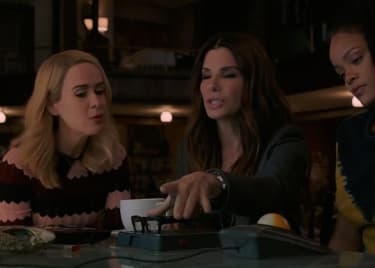 The process of treading the line between paying homage to the franchise while at the same time setting itself apart from it opened up Ocean’s 8 to a promising future. The film has a unique cast of characters and an innovative point of view on the heist genre. If handled correctly, Ocean’s 8 has the opportunity to grow and even kickstart a franchise of its own. Regardless of the potential for an Ocean’s 9, we’re excited to have the Ocean family back on the big screen, and can’t wait to see where Ocean’s 8 takes Debbie Ocean and her team of charming accomplices. Anne HathawayCate BlanchettSandra BullockGary RossActionHeistOcean's 11Warner Bros.